We have introduced a charity box to our main riding lift on this multi story development. We have asked our workforce to donate a small amount of pocket change to use the lift in an attempt to promote them using the stairs instead. This helps charity and also promotes a healthier lifestyle. 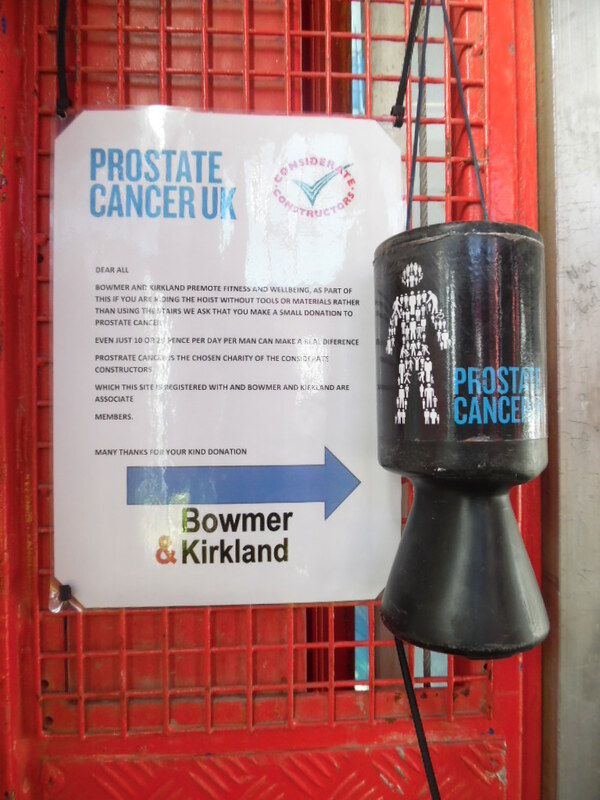 The charity box is for ‘Prostate Cancer’ who the Scheme supports to help raise awareness amongst men working in the construction industry.